Are You a Bridge Builder or a Jersey Barrier Within The Body? Handling offense can be challenging. However, even more challenging how to handle to being labeled as offended publicly, being placed in a defensive position within a body of believers. But exactly what do you do when you have been unjustly labeled as offended, with the self identified offender never seeking proper reconciliation? Sometimes there isn’t much we can do to make things right except to make sure we seek the Lord and be obedient to His promptings. Being offended is something most people actually can recognize within themselves. Advice to the offended is simple, go to that person and speak with them. If needed, go a second time, with a witness (Matt 18:15-16). Most importantly before you do anything…Always take the issued before the Lord FIRST. Although, perhaps we are the offender, offending someone, knowing that we ought to passionately pursue peace with that person, seek them out, and build that bridge. Honestly we have ALL been on both sides of the fence. Offense can be quite the slippery slope and without Godly guidance no matter if you are the offender or the offended, all will fail at bringing the Lord His due glory, if our heart and motives are not right before Him. Do you have a pointy finger? Name calling rarely builds bridges, it tears them down. As a body we ought to be seeking any and every opportunity to build a bridge to our brother or sister that may not be within our “inner-circle”. Building bridges can only strengthen the body; resulting in glorifying God! To call someone offended publicly is not Godly, ever. Let their fruits speak for themselves, no need for interpretation from you or anyone else. This just encourages division within a group. This behavior whether intentional or not looks much like placing a jersey barrier, the concrete dividers on a freeway that are used to split traffic, right between this person and the body; especially if this comes from an “inner-circle” or pastoral position from within the church. 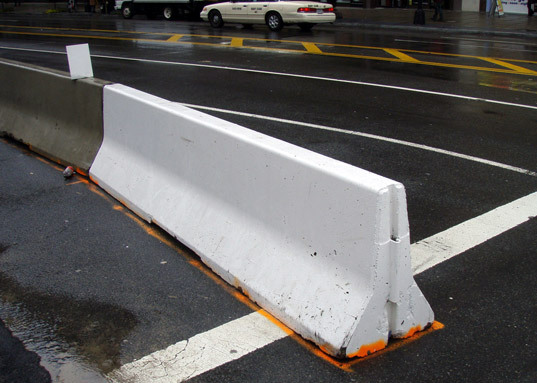 I cannot tell you how many of God’s people I have seen become professional Jersey barrier installers all in the name of looking superior by being the first to point a finger. People naturally feel as if they have to be on one team or the other. This only has the potential of becoming a public spectacle that will damage’s a church body’s ability to witness to those opposed to church in the first place. Are they really offended, or did they just disagree with you? Too many times a rift will grow over simple personality differences. The only way a person can recognize if what is going on is a personality clash or a communication issue is to build that bridge, extend a bit of you to them. I understand that this can be hard work, but the investment made will be returned in ways you will not expect! Some people love to discuss opposing views, while others cannot handle disagreement (interpreted as rejection); figure out the basis of the conflict then move on (Rom 14:1-23). Not everyone in the body is meant to be your new found BFF( best friend forever) and that’s okay! 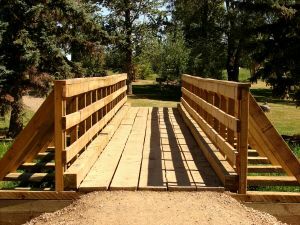 Just as long as there is an understanding and respect is built within this new bridge. Are you qualified to see offense in them? Do not label those offended that you do not have a personal or close professional relationship with. After all as discussed just previously it could be a case of lacking in understanding or insight into that persons personality. Let’s define these relationships. Personal relationship means you meet together on an unofficial basis; there is direct communication (not exclusive to text or IM’s. You know their history and family make up beyond knowledge of a testimony. You “break bread” with them regularly. Professionally, you would be in direct working relations; supervisor, employee, or co-worker on an equal level with the same job. If you are outside of these close relationships you are not qualified to call someone out as being anything. Instead, get to know them…start on that bridge! If you recognize someone as offended, then as the offender what should you do? Use a Biblical model in love. Do not use text messaging, FB, or email as a means of communication. Heart is rarely felt or properly communicated in this manner. It will greatly hamper any feeling of genuine reconciliation. Having ANY conversations about the matter with anyone other than with those directly involved WILL cause damage. If a “consensus” is needed, do so in a proper face-to-face with all parties present. Do not be one sided. Do not tell them how they feel (offended, bitter, angry, or hurt). They are perfectly capable and more qualified to interpret their own feelings. Doing so will only place a jersey barrier between you and them and bridge building will cease. While they just may be offended (or not), acknowledge your part or role. We are not to make a brother or sister stumble (Rom 14:21). Offense in the Greek means just that, “to stumble”. Be humble, be gracious, and most of all be hopeful for real reconciliation. This is a new opportunity to get to know a brother or sister better and for all parties to grow in the Lord. Blessing will be multiplied more than you know if we have the courage, patience, and strength to handle these matters God’s way, not our way. Pursue peace with everyone, and holiness—without it no one will see the Lord. This is not optional, it is a command. Most, okay maybe only really some will go to another person when they have been offended, hurt. But even less will take action if they were the offender. I know I am guilty. After all, it’s their problem if they are offended, especially if they are not even willing to talk about it or have rejected an honest apology. “After all they should take it to the cross [insert sarcastic tone]”. But our command is clear…WITHOUT IT NO ONE WILL SEE THE LORD. It’s not exclusive, there are no exceptions. No one, that means both parties are held back from holiness. Our pursuit for peace with one another needs be done so with passion and urgency. NO ONE will see the Lord if we do not passionately and urgently seek peace with one another. The root of bitterness is ugly and it runs deep; it spreads throughout families and infects entire groups. The root of bitterness is just the beginning to the division of the body of Christ. An issue between believers is an opening for that same bitter root to grow to their spouses, to their children, to friends, and so on. Bitterness grows unless ENTIRELY removed. Many times those that have been offended take this to heart. But how many of us hear this and say…”oh, so-n-so, really ought to be listening. They are so offended and hold on to stuff.” We have an attitude that it’s their problem and while that is partially true, it is the offenders issue too. We ought to be passionate about pursuing peace with EVERYONE. This is NOT just up to the offended but the offender too that must be just as passionate; not passing the responsibility off to the offended. “Well, I apologized and that should have been enough.” You are probably right. But this has nothing to do with being right, it has everything to do with pursuing peace. How can one fall short of the grace of God? I think it has everything to do with being nice. Nowhere in the Bible does it say anything about being “nice”. Christian “niceness” is a gigantic LIE. You will find kindness, love, and mercy, but never does it say be “nice”. I believe being “nice” has robbed us of grace. By being “nice” we deny grace, and turn to works. Being “nice” rarely resolves bitterness, never promotes love, and is an injustice. You have taken the Lord off of the cross, and replaced him with yourself with “being nice” to one another. Need an example? A person decides they are upset after a church function, and makes a vague complaint using social media. The person making the complaint is now over it, thanks to a vague vent and a bunch of “likes”, but the once offender, sees the complaint later and is now very much the offendee. The offendee talks to everyone but the complainer. The offendee has made ripples in the pond of fellowship yet continues to be “nice” to the complainer. Everyone thinks because there is niceness all is well. Usually to be nice is just another way to lie. 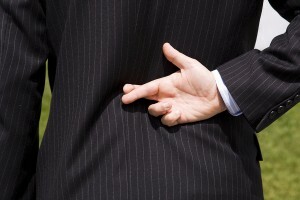 It is no different than crossing your fingers behind your back. Be kind instead, truly wanting what is best. 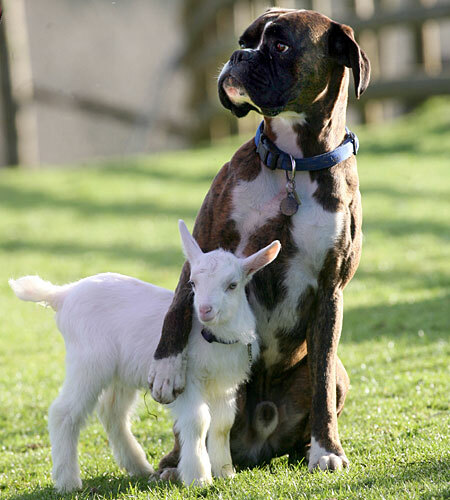 We are called to be gentle and correct in love. To be kind would have been to go to that person in love and let them know what happened. Be patient with one another. AW Tozer in The Pursuit of God said “Let us practice the fine art of making every work a priestly ministration. Let us believe that God is in ALL simple deeds and learn to find Him there [emphasis added].” I do not think we can find God in being “nice” because being “nice” is a lie. Being nice is a gigantic LIE. We will never accomplish the squashing of the root of bitterness unless we set ourselves FIRST aside for God. Only then can our lives, our deeds, and our word be spirit led. If we are not first led by the spirit, we must ask then who is leading? Second, we must set ourselves aside for others. We love others simply because He loves us AND them too. If you value them as He does, then eating a little crow then does not seem quite so distasteful, differences are not so irritating. We must strive for “In essentials, unity; in non-essentials, liberty; in all things charity.” Are we really giving our brothers liberty when we stand in judgment, that they are so “offended”, that we avoid any kind of approach? Are we really giving our sisters liberty when we make character assumptions and share those negative assumptions with others? In the body of Christ we ought to have each other’s backs. No question! But rather all the world sees is knives. By this all people will know that you are My disciples, if you have love for one another (John 13:35). It takes so much more than just being “nice”. God sees it, and so does the world. Do you really “have their back” in all circumstances? God is not asking you to make every member of the body your new found BFF. But if we want to grow in love, we must accept each other equally. There is no favoritism with God. There should be no division in the body (1 Cor 12:25).God see’s fit whom He wishes to add to the body (Matt 16:18). This body is His design (1 Cor 12:18). Yet how can you claim to know what the feet are doing if you never break bread with them? How do you suppose you would know the intent of the hands if you never break bread with them? The new comer gets greeted at the door, but does it end there? They are not truly added until they are breaking bread with in the body, are we including them? Is the mailing list updated periodically so no one is forgotten? Are new comers offered rides to bible studies? Or do we leave them to “fend for themselves”? When someone new invites you, are you too busy to find time because you have “plans” with the others? When someone comes to you with a prayer need, is there follow up? Prayer needs- Once expressed, are the clearest opportunity to act. Even if it is only a phone call, it is a green light to show love. After all it would just simply be “nice” to pray for them aloud during study showing concern but never giving it another thought once study has ended and life goes on. Prayer requests can sadly become biggest gap in the body. Someone is opening up, allowing you in, yet too many do not enter. When you break bread with one another in your homes, who have you added, who’s offers have you declined? So what now? I pray for a yielding body. Godly wisdom is not stiff-necked or stubborn when it comes to personal conflicts. A body submitted to godly wisdom is not afraid to yield or defer to another person’s view point as long as it does not violate essential truth, able to promote liberty. Pursue peace passionately, with urgency, and please quit just being “nice” to everyone. This was not just for the Apostles…it applies fully to today. CIRCUMSTANCES HAVE NOT CHANGED, NOR WILL THEY UNTIL THE LORDS GREAT RETURN. This portion of scripture is so full of what I call ‘meat of Christianity’, but I want to set apart the command to heal. Yes, I said COMMAND TO HEAL. 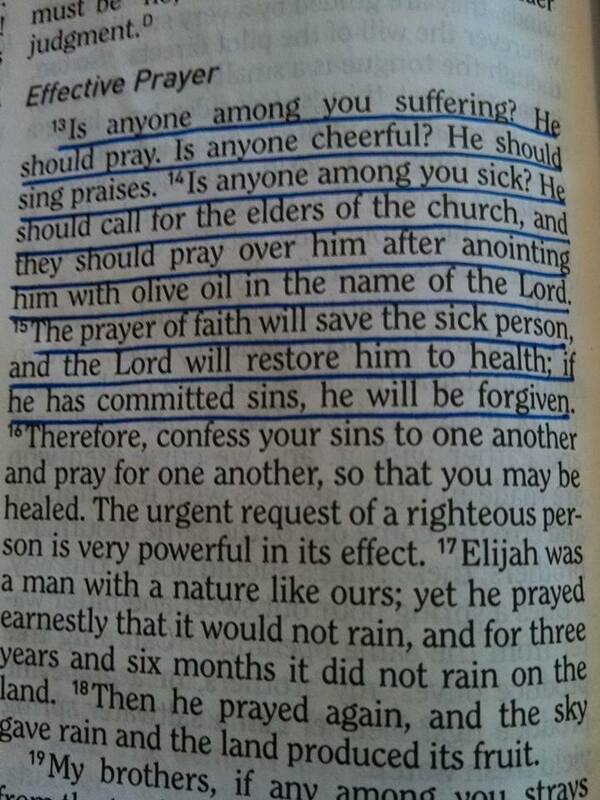 I am astonished at the hesitation we have AS BELIEVERS towards the faith-fill prayer for healing. Jesus gave us example after example. With the power of the Holy Spirit we are to do as Jesus did, HEAL WITH OUT PAUSE, WITH OUT HESITATION. Jesus never waited for it to get “bad enough”, He did not wait until “there were no other options”. He is to be our FIRST option. James even gives us instructions via the Holy Spirit, James 5:13-15. The prayer of the righteous shall be answered. It does not excluded the prayer for healing. It does not say the prayer of what seems possible. The Word of God is always clear to those who seek. Repeatedly we hear from Jesus, “Your faith has healed you…” It’s never a question of IF He will heal, rather whether we accept His healing. His healing may not always look the way we expect it to look. Our concerns are not necessarily His concerns. Remember that as you pray, keep it in perspective. He may want a change of heart. So rarely seen, yet this is the most important healing and the most miraculous. We can never be a good judge of a heart. Make no mistake God is all sovereign. He will have His way no matter how we may see fit. on whom I will have compassion. and that My name may be proclaimed in all the earth. 18 So then, He shows mercy to those He wants to, and He hardens those He wants to harden. FIRST: Do not hesitate to ACT on our CURRENT and RELEVANT commission. FAITH: Freely given to you, by the power of the Holy Spirit. SEEK: His will in ALL matters. He will show you, but you may need to adjust your priorities and perspective. Who are you giving YOUR kids to? Literally? A recent visit to So. California, included a trip to pick up my nephew from his elementary school. 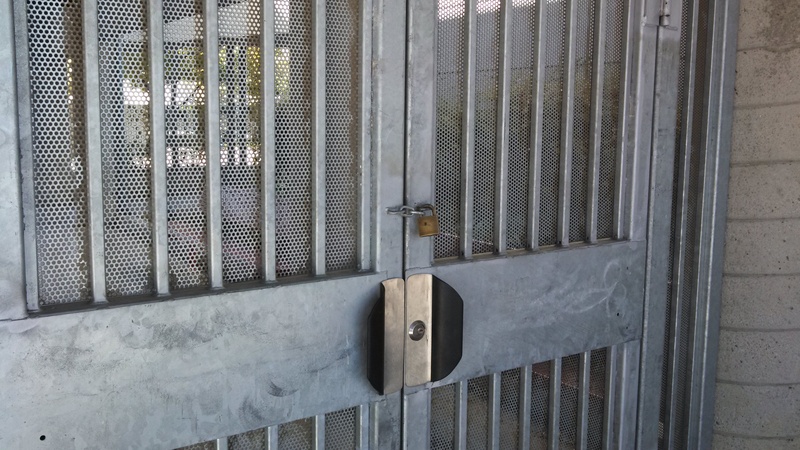 This is what I found, locked gates, locked classrooms equipped with peep holes. I found this to be quite disturbing. I asked my sister about these gates. She begin to tell me about Sandy Hook, and how it impacted them and as a result them found the following security measures necessary. Parents are no longer allowed to walk their children to class. Parents are NOT allowed on campus, if a need arises they must sign in at the office and be escorted to and from the classroom and ultimately off grounds. 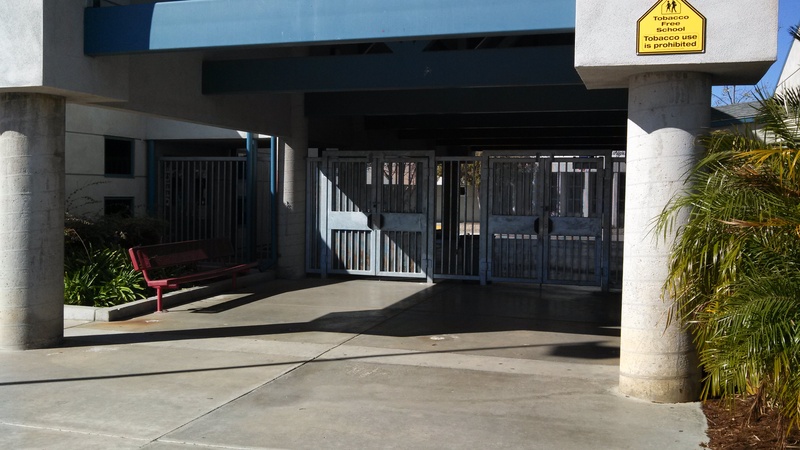 I immediately looking at the gates, and fencing around the grounds realized this was no security to keep these kids safe against an insane person with a gun…it was only keeping parents out. The fences, simply chain link. The gates, more then enough room to go over the top, even a trash can easily placed for assistance to make the leap for a fast escape for an insane person. 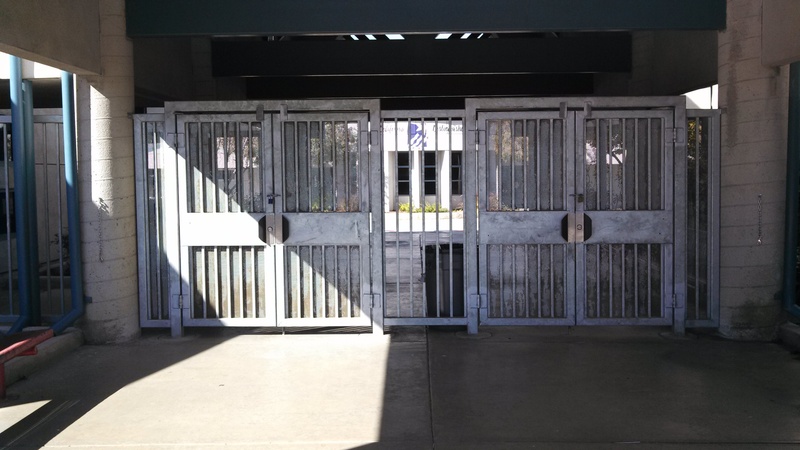 This school simply succeeded in locking parents out, not mad men with guns. Obviously the parents have accepted this lie. Secondly and I feel more importantly, I had to ask: What kind of message does this send our children? That the school is ABOVE parental influence? That the school is ABOVE parental authority? Parental influence and authority is demeaned by these actions, purposely by common core. After all it is the current consensus that our children are not our own but belong to the state? Don’t agree? Well then why are our school being allowed to take such actions? I am appalled at the very idea would be allowed. However it is the norm in metropolitan areas. If this is not your experience, it is coming soon to your area! PARENTS!! You do have a voice, I beg USE IT! You do have options and choices, USE THEM! You have full authority to say NO! If parents do not stand up for their constitutional rights NOW, we fail to teach by example to our children, our most precious asset, that LIBERTY is worth fighting for. Yep, can we say “snap!” That my friends was my message today. After a message on Romans 13:1-7 it was clear to me my attitude has been less then godly when it comes to the direction of this great nation. I have always been taught, “pray for our leaders.” Boy oh boy do I pray. It’s usually goes something like this….”Oh Lord, he has NO idea what this could mean, and if he does SHOW THEM and show them NOW. If he will not listen, Lord, remove him, raise up another……” and on and on I would go. 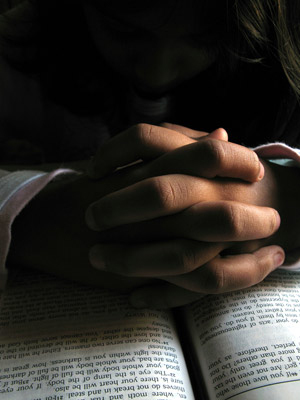 On bible study nights when praying with others, I kind of would just skip over the whole asking for blessing part…. The fact is this: I was being an ‘obstinate audacious brat’ to my Lord. I was telling Him what to do! I know the Word, I know we are in end times, yet here I was telling the Lord to find another way. YIKES. He is oh so sovereign! We must NOT forget! He will do what he needs to do in getting ready for His return. His Word is clear that we will suffer. We ought be praying that no matter His will unfold, and that we have the strength and faith to stand firm. Pray that the Holy Spirit give us the right words to be sharing (time is short! ), and that His love and grace is reflected from not only our actions as well as our speech. Yes things are getting bad, and they will be worse for our children. We do not have time to be fighting the rulers of this world, God’s Word, and especially His Will. Time is better spent graciously and honestly praying for our government and world leaders, and teaching our children. Can We Ever Be Good Enough? Can We Ever Be Good Enough?. The battle has long been over. The end of the story has been written. Time is short. There is only one thing left to do. Be obedient to the Word of God. It’s not impossible. It’s the best way to live, the only way to truly have life. Happy Valentine’s Day to who? Which side of the FINGER POINTER are you on, today?